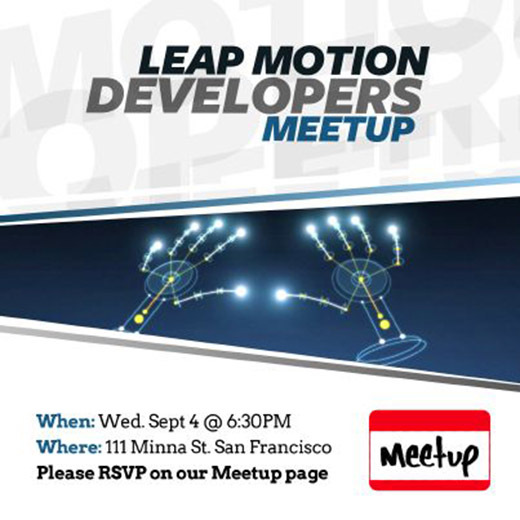 Tomorrow, Leap Motion developers from around the world will be converging at the 111 Minna Gallery to discuss our platform and try the latest community demos. We'll be taking video at the event for our community members who can't attend. tylerz created a collaborative open-source toolkit for the Leap Motion Controller, including a solution to distinguishing between left and right hands. Created by whoisjake, Gomotion is a framework that uses the WebSocket protocol to communicate with the Leap Motion Controller. Developing OS control in Linux. archetipo created a simple program to emulate a gesture-controlled mouse, while hsocasnavarro built an experimental desktop control app, which you can see in the video below. After posting his image viewer, dougui blogged about his experience developing with the Leap Motion platform. 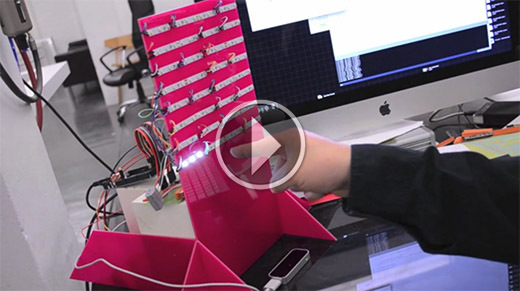 Rom posted a video of an LED wall that you can light up by pointing. 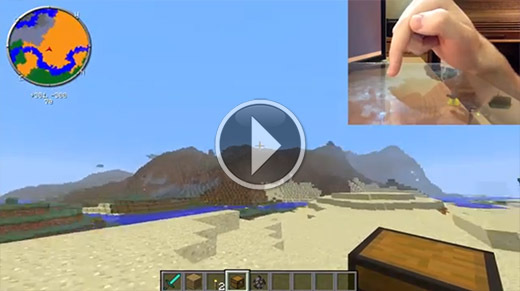 Using a simple pane of glass as a touch surface, Cezzix created huvr – a control scheme for the Leap Motion Controller that can control your OS and games like Minecraft. Check out his demo video below.